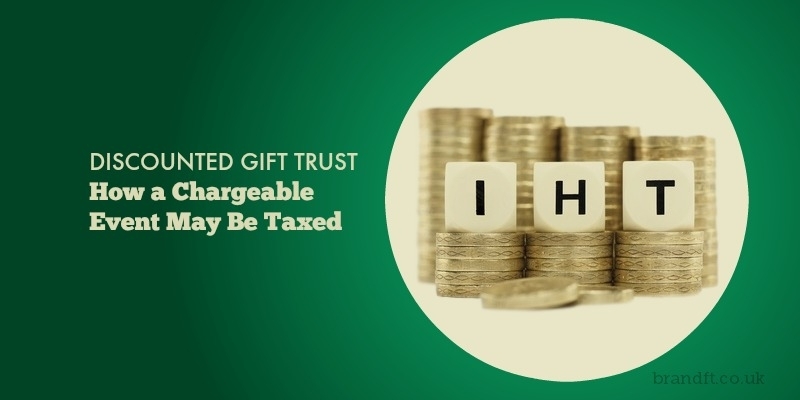 The following takes a closer look at a discounted gift trust and how a chargeable event on the investment bond may be taxed – of particular interest to those studying for any of the CII R03, R06, J02, AF1 or AF5 exams. THIS ARTICLE IS RELEVANT TO EXAMINABLE TAX YEAR 2017/18. 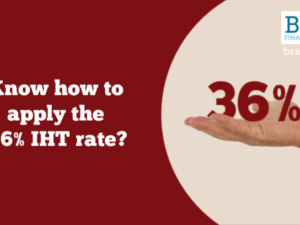 We have looked before at how a discounted gift trust (DGT) can help as a useful inheritance tax (IHT) planning tool for people who have an IHT problem but still want an income from gifted assets. We looked at the IHT consequences of making the gift of the bond into the trust depending on the type of trust chosen. This week we are taking a closer look at how a chargeable event on the investment bond may be taxed. As you will remember, the bond is held in the trust by the trustees with the ultimate benefit going to beneficiaries. Let’s now assume the settlor has died and as the bond was written on a joint life second death basis, it has continued in the trust with the trustees able to make payments to the beneficiaries when appropriate. If the trustees use their discretion to cash in the bond and pay out the remaining fund, let’s consider the income tax position, assuming a discretionary trust was used. 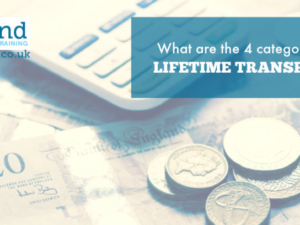 Cashing in the bond is a chargeable event, and if this occurs in the tax year after the one when the death of the settlor occurred, the tax charge will be assessed on the UK resident trustees. Trustees don’t benefit from top slicing, and the charge for a discretionary trust is 45% for income above the trust’s basic rate band and 20% for income within it. On a chargeable gain, that exceeds the trust’s basic rate band; there is therefore, a 25% liability on the trustees – assuming the bond is held onshore. 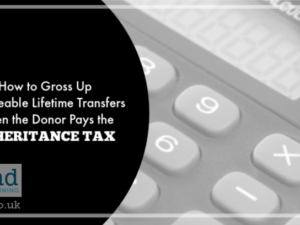 To avoid this tax charge, the trustees, instead of cashing in the bond, they could assign it to a beneficiary. 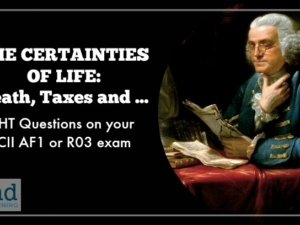 Assignments are not a chargeable events, so there are no tax consequences to worry about there. The beneficiary could then, as owner of the policy, cash it in and the chargeable event would be assessed on them. Depending on their personal circumstances, top slicing may be used, and any resulting tax would be charged to them instead of the trustees. If you’re studying for your CII R03 exam, and you’re wanting to be well prepared, grab our free taster to try out one of Brand Financial Training’s resources for yourself. Click the link to download the R03 calculation workbook taster now! Alternatively, you can try the taster for any of R06, J02, AF1, or AF5 if you’re studying for one of those exams.